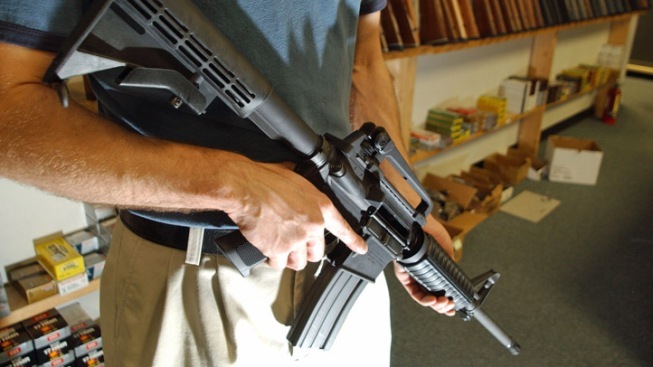 Maryland's gun laws are now among the strictest in the nation. Governor Martin O'Malley signed the sweeping gun control measure Thursday. Under the new legislation, which the governor helped push through the General Assembly, anyone buying a handgun will have to submit fingerprints to obtain a license. The bill also bans 45 types of assault weapons, but those who own the weapons before the law goes into effect will be allowed to keep them. Gun magazines will be limited to 10 bullets, gun ownership by people who have been involuntarily committed to a mental health facility will be banned, and Maryland State Police will be able to suspend the licenses of gun dealers who fail to comply with recordkeeping obligations. O'Malley also signed a bill aimed at cracking down on distracted driving. Officers will now be allowed to pull over any driver they see talking or texting on a hand-held cell phone. The first offense will cost $75, with fines increasing with the number of offenses. While many welcome distracted driving laws, the gun control legislation has been met with heavy opposition. Last month, Delegate Neil Parrott, a Washington County Republican, announced he and opponents of the gun control measure would fight it in court, calling the bill unconstitutional. The National Rifle Association renewed that promise Wednesday, The Washington Post reports. O'Malley proposed the legislation following the December shooting at Sandy Hook Elementary School in Newtown, Conn, where a gunman killed 20 children and six adults. With the governor's signature Thursday, Maryland will become the first state in almost 20 years to require fingerprints to be submitted to state police. Only five other states have a similar requirement: Connecticut, Hawaii, Massachusetts, New York and New Jersey. Gun-control advocates say the fingerprinting requirement will help keep guns away from criminals because it will make people reluctant to buy guns for people who are not allowed to have them. Opponents say the bill erodes Second Amendment rights and ultimately penalizes law-abiding citizens without focusing on lawbreakers. Both laws take effect Oct. 1. News4 received a statement from Beretta USA, the world's oldest manufacturer of guns. It continue its operations in Maryland but does not want to reward a government that has insulted its products and customers, so Beretta will take steps to evaluate investments in other states.